Natural disasters remind us that we live at the will of mother nature. Just when we think we have it all figured out, a natural disaster can bring us to our knees and change life as we once knew it. From deadly ‘quakes to catastrophic hurricanes, here’s a look at the worst natural disasters in modern history. On December 26, 2004, a 9.3 magnitude earthquake occurred under water off the west coast of Sumatra, Indonesia. Although the earthquake lasted just 10 seconds, it created a tsunami that hit the shores of Indonesia, Sri Lanka, South India, and Thailand. 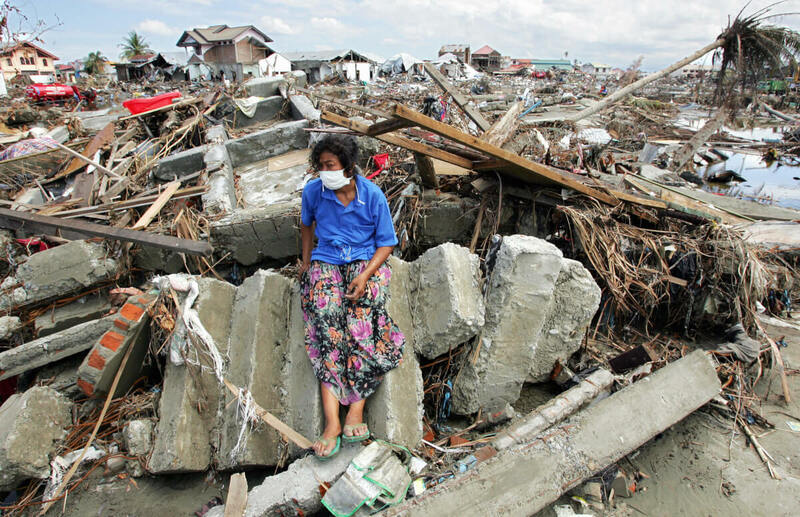 The natural disaster killed upwards of 229,000 people in a total of 14 countries. There was even a death recorded at Port Elizabeth in South Africa over 8,000 miles away from the epicenter. In the hardest-hit countries, waves were recorded at over 100-feet high. It is noted as one of the worst natural disasters in recorded history. 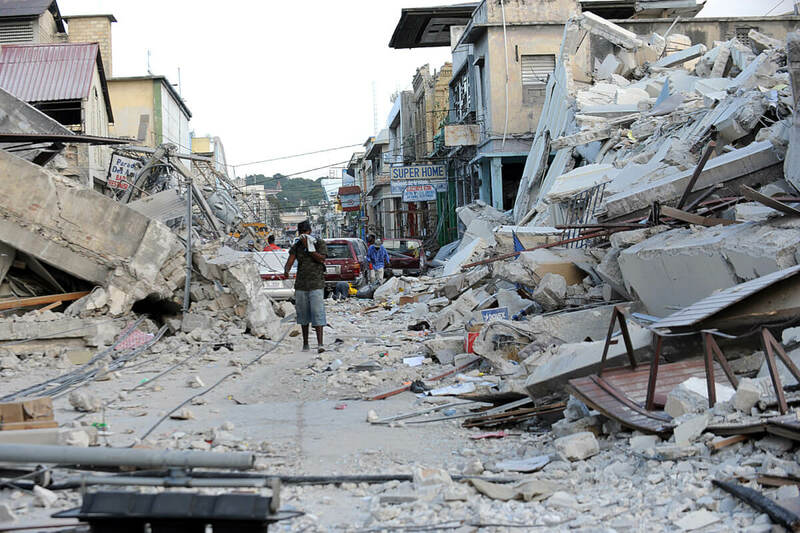 On January 10, 2010, a magnitude 7.0 earthquake with a depth of 8.1 miles hit the Caribbean country of Haiti. The epicenter, which occurred south west of Port-Au-Prince, had a total of 59 aftershocks ranging from 4.2 to 5.9 magnitudes. It was the strongest earthquake in the country since 1770. Altogether the ‘quake caused over 200,000 deaths, left 2 million homeless, and 3 million people in need of emergency aid. An estimated 250,000 residences were destroyed, as well as 30,000 commercial buildings that either collapsed or were severely damaged. The nation’s already struggling economy and widespread poverty greatly added to the death toll and amount of destruction. The Nevado del Ruiz Volcano erupted on November 13, 1985, creating a series of lava flows over the volcano’s ice-covered summit. A fast-flowing mixture of water, ice, rock, and debris that poured down the mounting, forming “lahars” that flooded into the river valleys. When the lahars met the rivers, it created massive flooding and mudslides which were worsened by rain. Within four hours of the initial eruption, the lahars had traveled over 60 miles and killed 23,000 people, injured 5,000, and destroyed over 5,000 homes. The town of Amero was the hardest hit, with 28,700 deaths—roughly three-quarters of the town’s population. 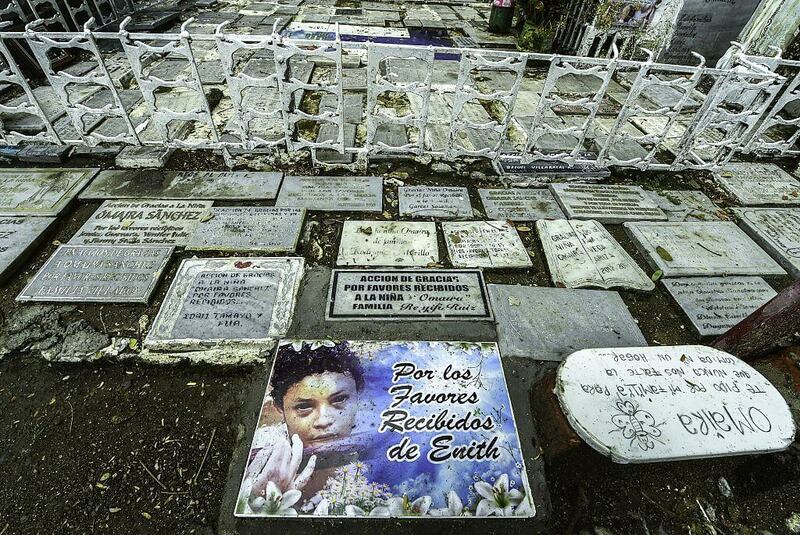 The photo above shows the tomb of child Omaira Sanchez, who was killed in the disaster. On May 2, 2008, a cyclone made landfall on the coast of the northern Indian Ocean in Myanmar. It completely destroyed the Ayeyarwady Delta region along with 37 townships in just two days. The natural disaster reached wind speeds up to 134 miles per hours and left more than 138,000 people dead. 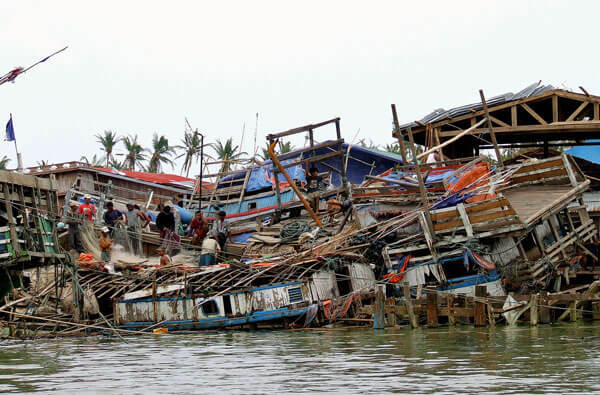 The total damage by the cyclone was estimated at over $12.9 billion USD, making it the most destructive cyclone to ever hit the region and the fifth deadliest tropical cyclone ever recorded. 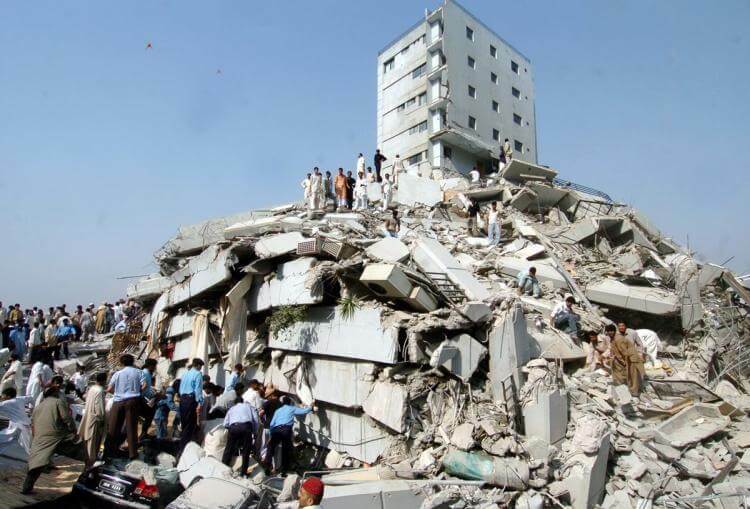 On October 8, 2005, a 7.6 magnitude earthquake hit Pakistan. The epicenter of the quake was in Kashmir, near the city of Muzaffarabad. The earthquake was so powerful that the tremors were felt in Afghanistan, Tajikistan, and the Chinese Providence of Xinjiang. It is estimated that more than 100,000 people were killed and 106,000 were injured. Although the earthquake occurred on a Saturday, it was a normal school day in the region, so many students were in class during the event. Government officials also noted that over 19,000 children were killed due to collapsing schools. Ultimately, the natural disaster left 3.5 million people homeless and left the country reeling for years after. 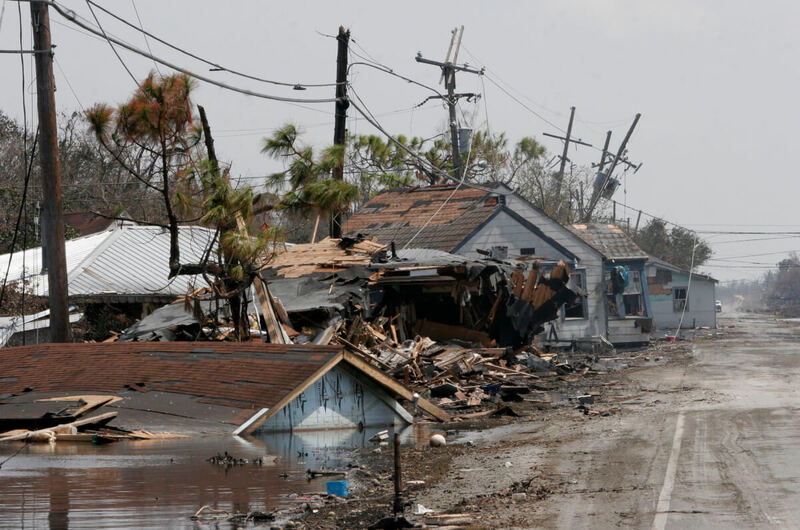 In 2005, Hurricane Katrina hit southeast Louisiana causing severe destruction along the Gulf Coast from Florida to Texas. In New Orleans, the levees designed to prevent floods were only engineered to withstand Category 3 hurricanes, but Katrina reached to a Category 5 with winds up to 175 mph. On July 28, 1976, the 25 -mile long Tangshan fault in China gave out. This created an earthquake with a 7.8 magnitude that completely destroyed the city of Tangshan, China, with over 1 million inhabitants. It is considered to be the deadliest earthquake of the 20th century. The death toll was first estimated to be over 240,000 people, but another report indicates that the toll was approximately 650,000 with 160,000 injured. After the initial ‘quake, the area was hit by a 7.1 magnitude aftershock 16 hours later, increasing the death toll further. 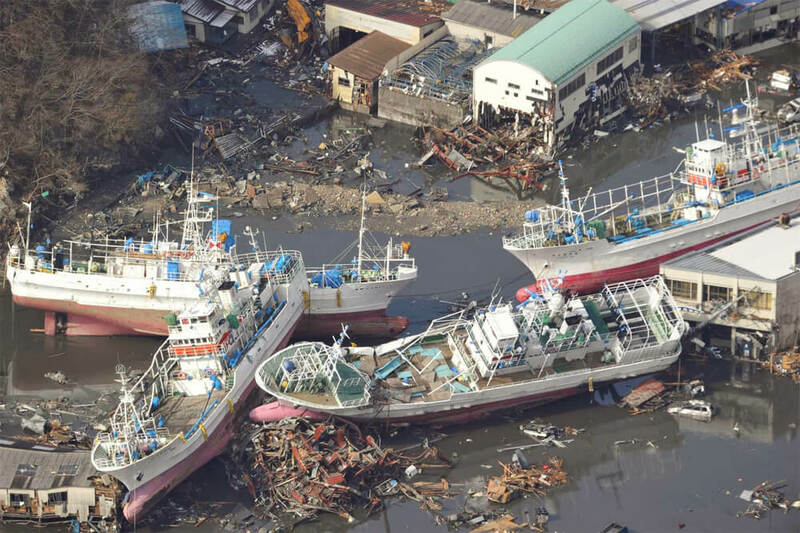 On March 11, 2011, a 9.1 magnitude earthquake at an underwater depth of 29 kilometers struck the coast of Japan. 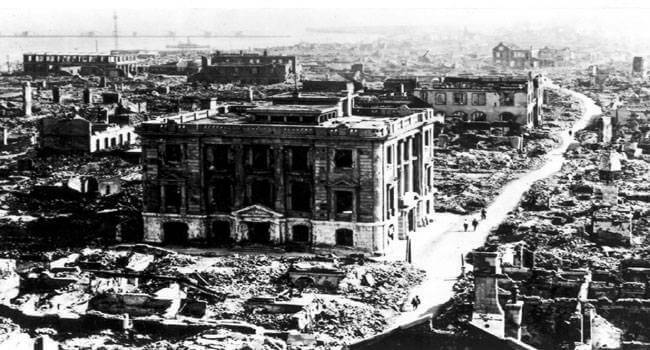 The quake was the largest to ever hit Japan and the fourth most powerful in the history of the world. Soon after the ‘quake, a tsunami followed. The disaster was responsible for the death of 15,894 people, injuring 5,152, and leaving 2,562 people missing. The natural disaster completely flattened 127,000 buildings and partially collapsed 272,000 structures. To make things worse, the earthquake caused the meltdowns of three nuclear reactors, causing the second largest nuclear disaster since Chernobyl. On November 12, 1970, a tropical cyclone struck East Pakistan and India’s West Bengal. 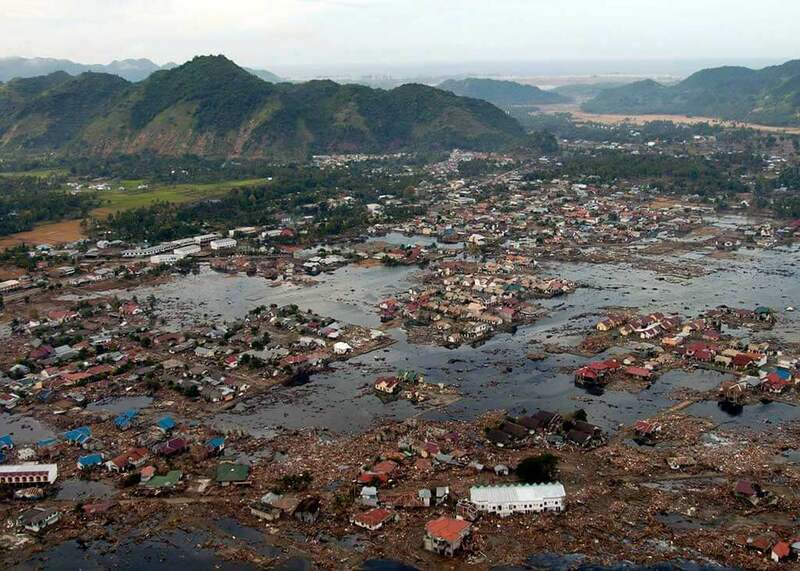 The gigantic storm destroyed the offshore island, wiping out villages and crops. With winds reaching 115 miles per hour winds, 45 percent of the 167,000-person population were killed in Upazila, Tazumuddin. By the time the cyclone’s deadly cycle ended 500,000 people were killed. It is the deadliest cyclone ever recorded and is considered one of the world’s worst natural disasters. The sixth cyclone of the 1970 North Indian Ocean cyclone season, it resulted in 85 percent of all of the homes in the area being destroyed, and it cost $550 million USD in damages. 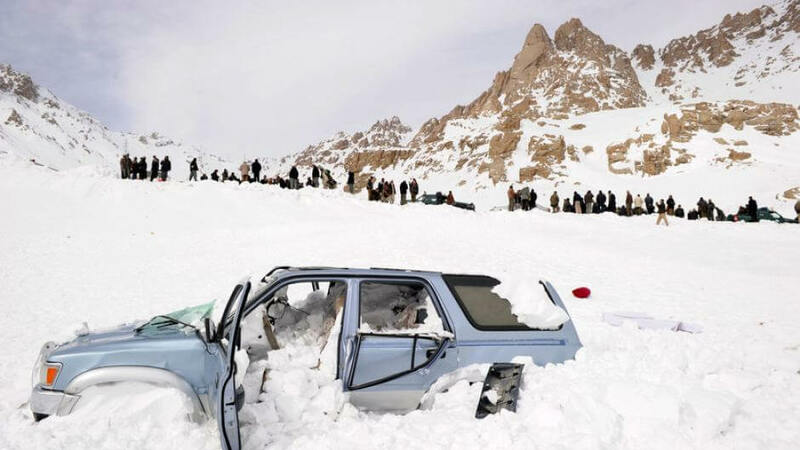 In 2008, the second worst blizzard in modern history hit Afghanistan. It caused temperatures to fall below -22 degrees Fahrenheit and snowfall more than five feet in some mountain regions. Because of these circumstances, the blizzard caused a death toll of 1,337. Many individuals froze to death, while others died when their vehicles were blocked by the snow. There were hundreds of frostbite-related amputations across the country and in addition to human loss, there were over 100,000 sheep and goat deaths with 315,000 cattle deaths. From 1926 to 1930, China was affected by a long drought. 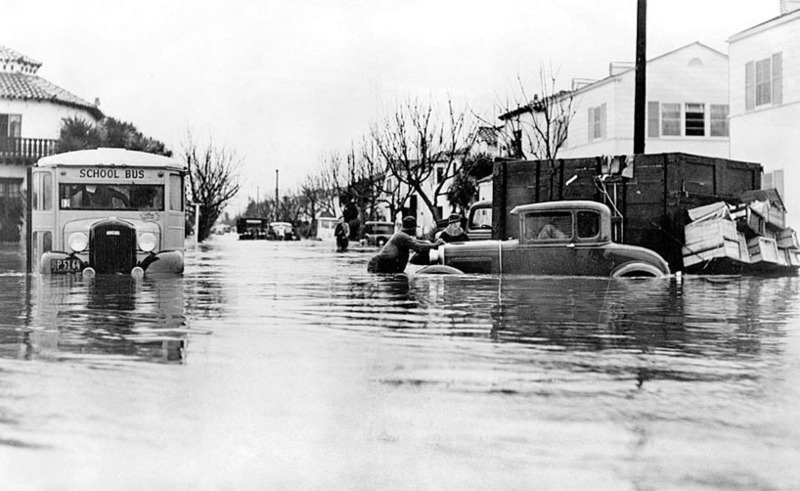 However, in the winter of 1930, there began to be some abnormal weather with heavy snowstorms, followed by a large spring thaw and very heavy rains. The rain was significantly heavier during the months of July and August in 1931. In turn, this caused the Yangtze River to flood killing nearly 3.7 million people. This incident has been considered the worst natural disaster of the 20th Century, and possibly of recorded time. The flooding was followed by a period of terrible famine and pandemics, making the disaster even more destructive. 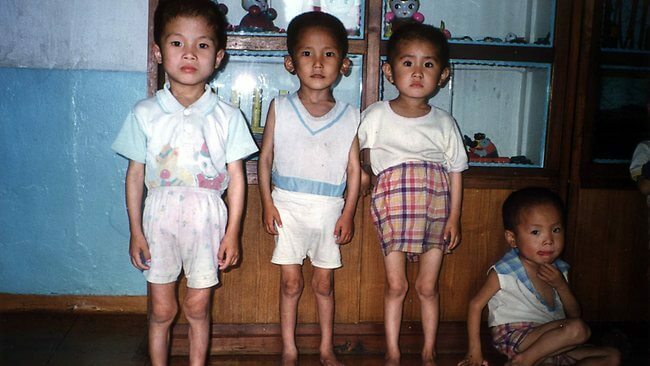 From 1994 to 1998, North Korea was greatly affected by a crippling famine. The famine is also known as the “Arduous March,” in which it is estimated that as many as 3,500,000 died due to starvation or hunger-related illness. Out of the population of 24 million, 5 million were malnourished including 800,000 children with 80,000 on the verge of starvation. Countries such as the United States, Japan, South Korea and others aided with food assistance until North Korea requested the deliveries to stop in 2002. In the summer of 2003, Europe was struck with a heat wave that they were far unprepared for. It was recognized as a health crisis in several countries and led to a crop shortage, especially in the Ukraine where 75 percent of the crops were lost. It was the hottest it had been since 1540 and heat-related deaths topped out around 70,000. In France alone, there were 14,082 heat-related deaths, mostly among the elderly in nursing homes or families without air conditioning. The high temperatures also led to forest fires and eventually flooding when the rains came back. 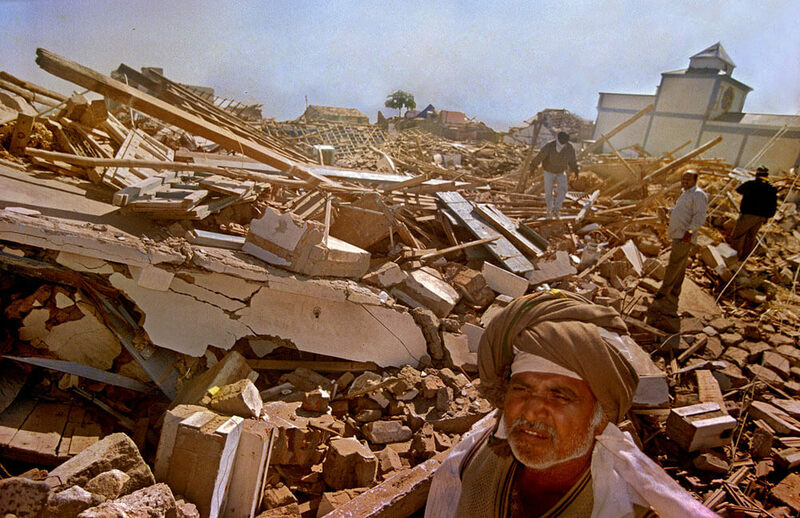 On January 26, 2001, on India’s 52nd Republic Day, a 7.7 earthquake struck. The epicenter was nine kilometers south of the Chobari village. The ‘quake lasted two minutes and killed a total of 20,000 people, injured 167,000 and left 400,000 homeless. Not long after the original earthquake, there was an aftershock that spread 700 kilometers, affecting 21 different districts and leaving an additional 600,000 people homeless. During the period of reconstruction, it was estimated that the cost of rebuilding would be over $1.77 billion USD. Between 2011 and 2012, a severe drought affected all of East Africa. 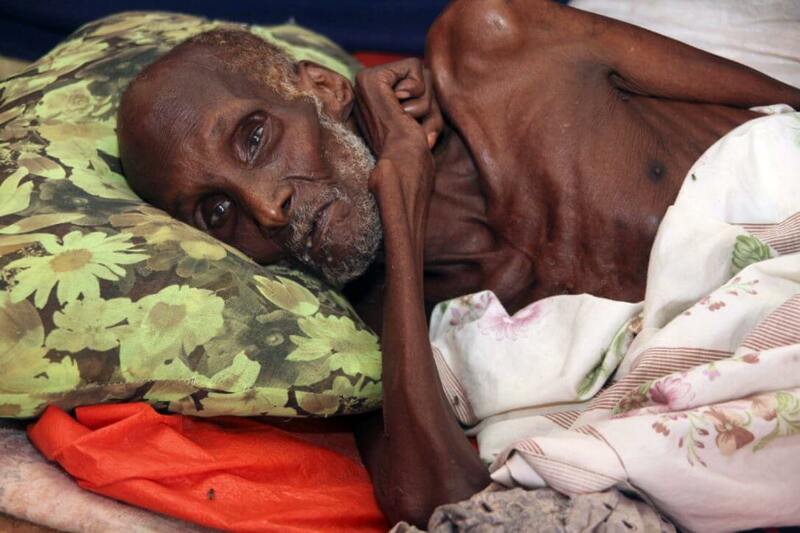 It was noted to be the worst drought in 60 years, and led to a food crisis in Somalia, Djibouti, Ethiopia, and Kenya, threatening the lives of 9.5 million people. Refugees ended up seeking shelter in the same areas which were crowded and unsanitary, leading to diseases running rampant and death. It is estimated that the death toll was as many as 250,000 people. In the end, the drought left 9.5 million people in need of serious assistance in the major countries affected. In China, the Yellow River has always been susceptible to flooding due to the elevation of the river, which runs between dikes and above the plains that surround it. In 1887, after days of heavy rain downpours, the water levels reached the dikes and overflowed into the plains. The flood covered around 50,000 square miles, destroying towns and all of the agriculture in the area. 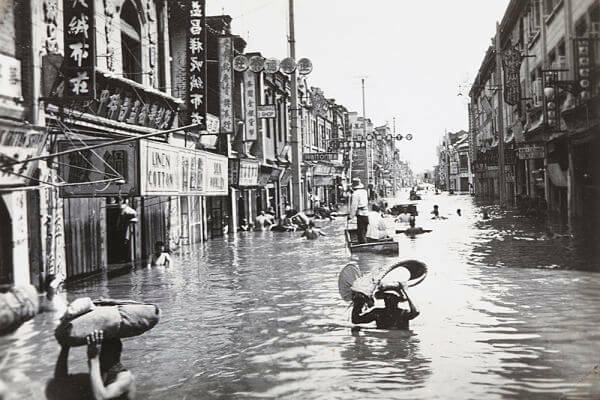 The flood claimed the lives of over 900,000 people, and left 2 million homeless, making it the second deadliest natural disaster ever recorded. Of course, after the flood had subsided, those left alive were then hit by a series of pandemics and famines, claiming even more lives. 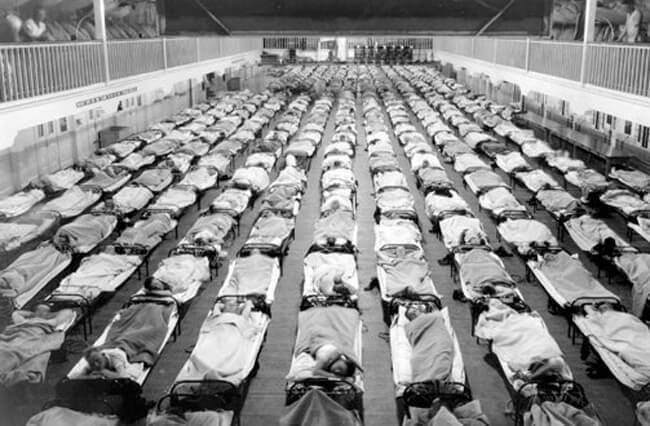 In 1918, an influenza pandemic swept across the world. It was the first of two pandemics involving H1N1 influenza. It is said to have infected some 500 million people around the world in Asia, Europe, and North America, and even in remote islands in the Pacific and Arctic. All in all, it resulted in the deaths of as many as 100 million (which was around five percent of the world’s population), making it one of the deadliest natural disasters in recorded history. 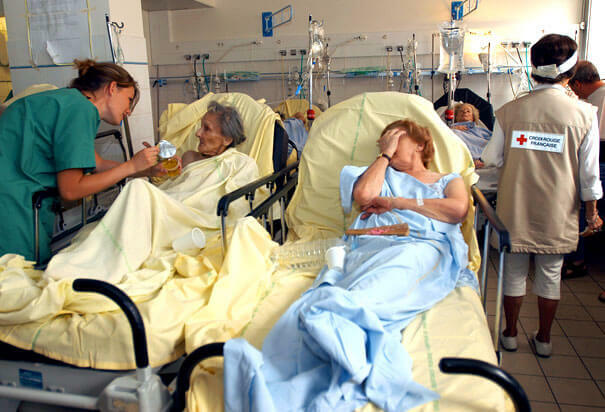 The illness greatly affected life expectancy in the 20th century worldwide. In the United States, life expectancy dropped by 12 years. On April 18, 1906, at 5:12 AM, a 7.8 magnitude earthquake struck the coast of Northern California. The ‘quake was felt from southern Oregon all the way to Los Angeles. After the earthquake, a fire broke out which lasted for several days. 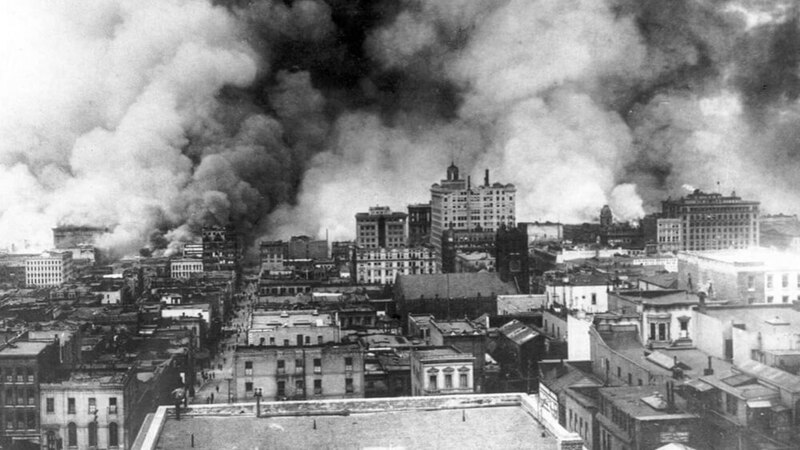 All in all, the catastrophe left 3,000 dead, and over 80 percent of San Francisco destroyed. It is estimated that during the earthquake 700 people died, and the rest of the deaths were attributed to the fire, totaling around 3,000. To this day, the event is considered one of the worst natural disasters in American history and is the greatest loss of life in California’s history. On August 26, 1883, in the Dutch East Indies, the volcano Krakatoa began to erupt. By August 27, over 70 percent of the island was destroyed and collapsed into a caldera. The most destructive volcano in recorded history, the eruption sent an ash cloud 22 miles above the island and was heard as far as 2,800 miles away. After the eruption, Krakatoa fell into the ocean, creating a tsunami 120 feet high, carrying a steamship one mile inland. Over 36,000 deaths were attributed to the eruption as well as the earthquakes and tsunamis that followed. 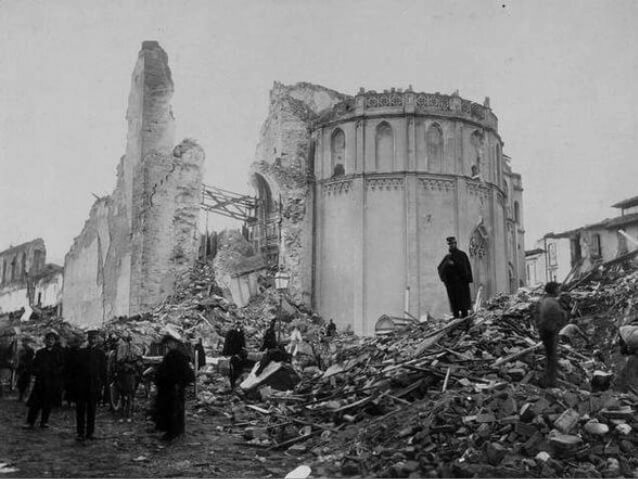 On December 16, 1920, an 8.5 magnitude earthquake hit the Haiyuan County area of the Ningxia Province in the Republic of China. It is known as the Gansu Earthquake because it took place when Ningxia was a part of the Gansu Province. The earthquake caused rivers to change their course, resulting in landslides which completely buried the town of Sjiahe. The ‘quake along with the devastation that followed, killed more than 273,400 people and aftershocks continued for three years. The initial earthquake was so strong that it was felt as far away as Norway.